is an Andrew W Mellon postdoctoral researcher in the department of political science at McGill University in Montreal, Canada. His writing has appeared in Slate, The Atlantic and Nautilus, among others. His latest book is A Mind at Play: How Claude Shannon Invented the Information Age (2017), co-authored with Jimmy Soni. What does the word ‘decorum’ mean to you? Today, it’s likely to summon up the smothering niceties of a Victorian-era etiquette manual. Or maybe it speaks of a kind of inauthenticity – the idea of presenting a different self to the world at different times. Worse still, decorum can be suggestive of manipulative hypocrisy. Recall Wilfred Owen’s First World War poem ‘Dulce et Decorum Est’: the sonorous Latin line about patriotic sacrifice, sounding against the cries of teenaged soldiers choking to death on mustard gas. Decorum can be the velvet glove around the iron fist, a regressive bar to social change. If decorous action is calm, staid and subdued, then people who are comfortable will inevitably find decorum a lighter burden. Meanwhile, it will weigh more heavily on those who are hurting, dispossessed and justly angry. If this basic inequity is baked into the concept, why not do away with decorum altogether? But things look different if we return to the idea’s more radical origins, in the Greco-Roman world. For the ancients, decorum was not identical with politeness or good manners. It made room for disruptive or impassioned speech – indeed, the very kind of speech that today might be branded as lacking in decorum. Historically, decorum has been a much richer and more challenging idea than its modern usage would suggest. Cicero gives us the best sense of decorum’s richness. He did more than anyone in ancient Rome to develop the concept, and it sits at the heart of his ethical and rhetorical theory. Cicero defined decorum not as an inflexible code of conduct, but as the fit between an action and a moment, or between words and a rhetorical situation. To speak decorously is to say precisely what the moment demands. To be sure, Cicero acknowledges that decorum should be governed by sensus communis, ‘the sense of the community’. He associates the capacity to meet the moment with the virtue of moderation. But the moderation that matters here is a dynamic moderation, a constant process of attuning and adjusting. Decorum is the wisdom the orator uses ‘to adapt himself to occasions and persons’. Asking whether words have decorum is another way of asking what this circumstance and this audience call for. As a result, there is no decorum in the abstract, and scarcely any way to specify ahead of time which words will qualify. 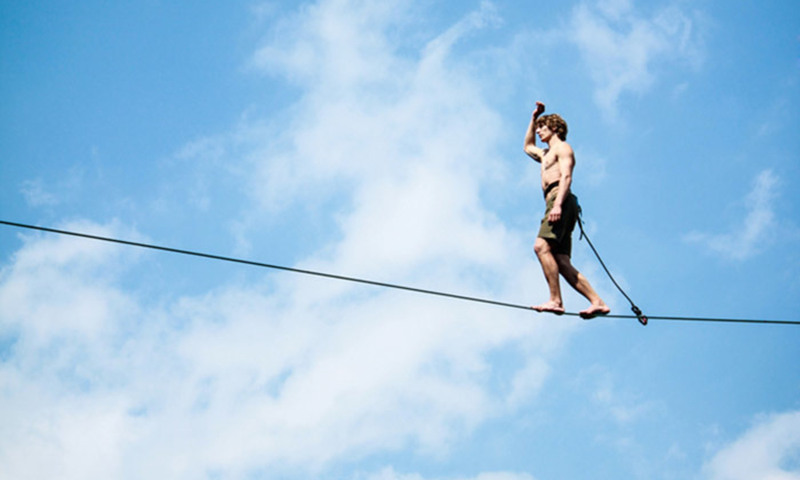 Acting with decorum is more like walking a tightrope than following an etiquette handbook. So decorum is a game of high-stakes uncertainty. Cicero’s experience of both success and failure in the Forum taught him that remarkable speech and the pleasure we take in it tend to border on excess, ugliness and aversion. This might be a metaphor that’s striking without becoming absurd, or a long, periodic sentence that strains our attention. Alternatively, decorum might require actions that are breaches of propriety under normal circumstances, but are transmuted into appropriate ones under pressure. One telling instance comes in Cicero’s most important work of rhetorical theory, the dialogue De Oratore or On the Orator. One of the characters, the senator Marcus Antonius, is describing his successful defence of an old general on trial for maladministration. ‘I called forward the grieving old man, dressed in mourning clothes,’ Antonius recalls. And then, prompted ‘by deep grief and passion … I ripped open his tunic and exposed his scars.’ What would ordinarily be an outrageous act of public exposure becomes, at the right moment, the moving crux of a successful defence. Stories such as Antonius’ have a kind of latent democratic power (even if Cicero wrote in a world in which public speech was the exclusive province of high-status males). For one, thinking of decorum as a flexible, dynamic concept helps to resist uses of the term that tend to silence the political speech and action of the marginalised. Further, retaining the concept of decorum gives us a language for the responsiveness involved in good political communication – the ability to speak to an audience, rather than at it. The decorous orator, according to Antonius, is someone ‘who with keen scent can track down the thoughts, the feelings, the opinions and the hopes of his fellow citizens and of those people whom he wants to persuade’. Most democratic citizens, I imagine, would endorse this kind of public empathy as a qualification for a politician. Of course, the concept of decorum can’t solve all our problems. It has even been argued that there is something amoral about it: that by concentrating on speech that is appropriate and adapted to the moment, we sidestep the search for reasonable or virtuous arguments. But decorum is nonetheless a tool that can bring a rich and useful set of questions into view. One of these questions is the matter of fit. To speak about decorum is to assume that a presentation that’s fitting in situation X is not necessarily fitting in situation Y. In other words, it challenges the notion of sincerity or authenticity, that one true self-presentation ought to hold fast in all circumstances. Speech need not be mannerly to have decorum, but it probably does need to be mannered – that is, characterised by artifice or a departure from ordinary talk. Decorum raises another essential question: ‘Who is the audience?’ Cicero’s concept of decorum pushes us to ask this question for two reasons. First, the standard response to a failure of decorum was shame; and second, the matter of who was entitled to judge you was a politically laden one. Reading Cicero’s letters, for instance, it’s easy to forget that there are often two more invisible parties, in addition to author and recipient: a slave taking dictation on one end, and a slave reading it aloud on the other. Those social inferiors overhear the letter, but they are not, for Cicero, part of its audience. An audience, then, isn’t simply the collection of people who happen to be listening. It is the group of people whose response carries weight – in particular, the weight of potential shame. On this measure, many contemporary politicians appear especially shameless, such as the US president Donald Trump. His predecessor Barack Obama obliquely referred to the lamentable state of public rhetoric in July 2018, when he cited ‘the utter loss of shame among political leaders, where they’re caught in a lie and they just double down’. But reducing the failings of contemporary rhetoric to mere shamelessness oversimplifies things. There are surely some disclosures that would indeed shame Trump, such as evidence that he is not a successful businessmen, and surely a restricted circle before whom he would feel such shame. His uniqueness does not lie in shamelessness, then, but in a narrowing of the circle of listeners entitled to shame him: a circle that excludes many, if not most, Americans. Arguing over Trump’s decorum, or lack thereof, is about asking who counts – who is included in, and excluded from, ‘the sense of the community’ to which decorum appeals. Invoking decorum can’t explain what’s wrong with this exclusion. But it does bring the matter into focus. Of all the latent democratic potentials in Cicero’s theory of decorum, this is the furthest-reaching: his insistence that the object before which a speaker feels shame is made of flesh and blood, not an idealised audience, an imaginary spectator or a transcendent norm. We can find that sort of transcendent shame, for instance, in Plato’s Phaedrus, where Socrates conjures up the image of a hypothetical ‘man of noble and gentle nature’ to keep him in line while he speaks. Cicero knew the Phaedrus well; his own characters even cite it. They are aristocrats and, like Cicero himself, probably consider ordinary people to be ‘scum’. Even so, their reliance on decorum is a vital condition for thinking democratically: a belief that when we speak, we are accountable to our listeners. And when one of those characters confesses a fear of shame – when he stands up to speak and says, ‘I find myself turning deathly pale, and I tremble with my whole heart and in every limb’ – he isn’t afraid of falling short in his own eyes. He is afraid of the very real eyes that confront him across the rostrum.